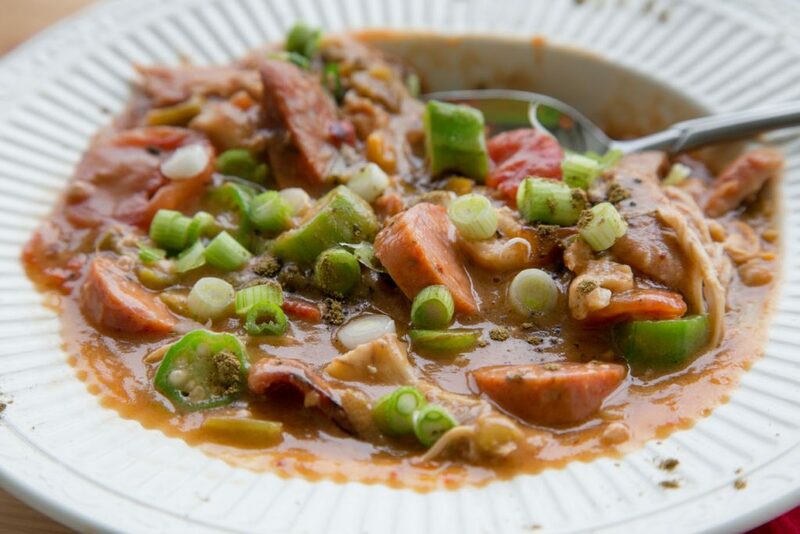 Enjoy my quick and easy skillet chicken gumbo recipe and bring the taste of New Orleans to your table! 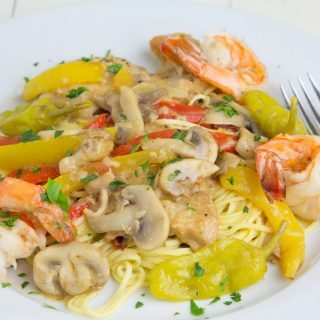 Your family and friends are going to love this dish! What could be better than good home cookin’? 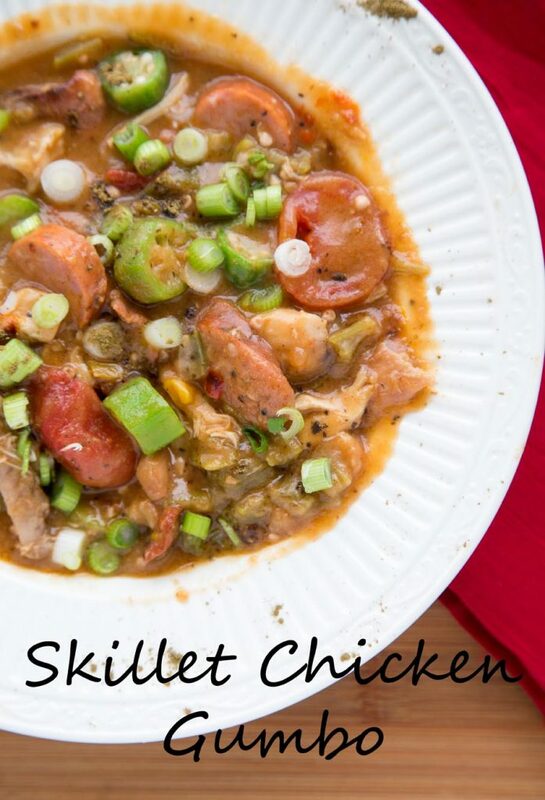 Especially when its something as delicious as my Quick and Easy Skillet Chicken Gumbo! 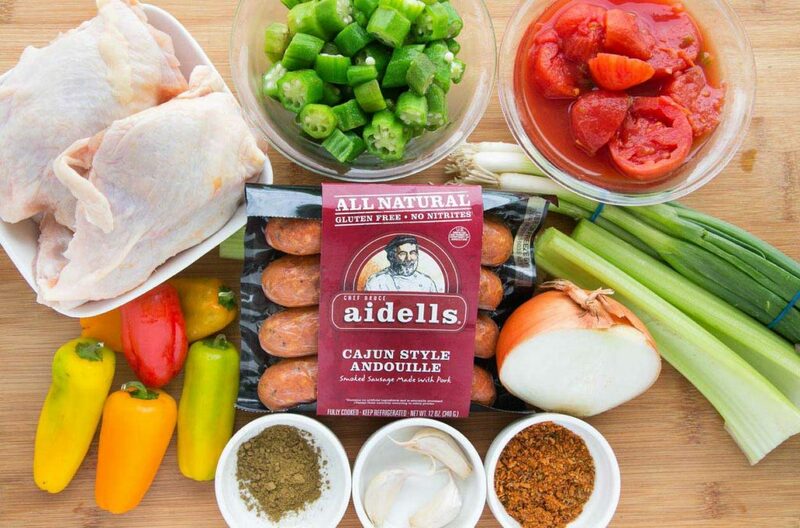 I was recently asked by Aidells® to cook up some deliciousness using their product and share my recipe with you. But as usual all opinions, text and deliciousness are 100% mine. 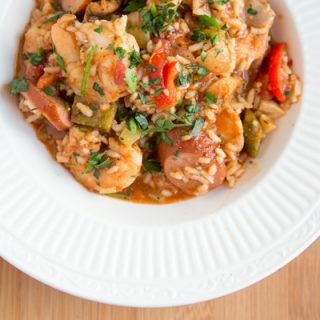 Skillet Chicken Gumbo, those are three words that evoke delicious memories…..sigh. Louisiana cooking at its best with Mama Jeanette. Of course, Mama used a cast iron skillet that had seen many forms of deliciousness, but I do believe her personal favorite was always a good batch of Skillet Chicken Gumbo. 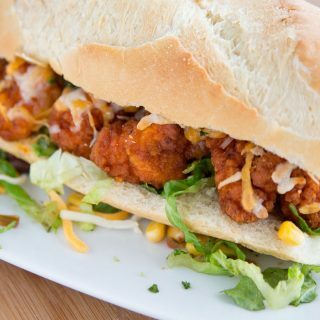 And that my friends is what we’re making today! A good practice to get into is gathering your ingredients together before you start. This is referred to as a Mise en Place (everything in its place). Missing from this picture are the flour, oil and chicken base that was used to make the sauce. Roux is everything in gumbo and learning to make a good roux is essential for so many Louisiana dishes. Comfort food brings out the best in people. 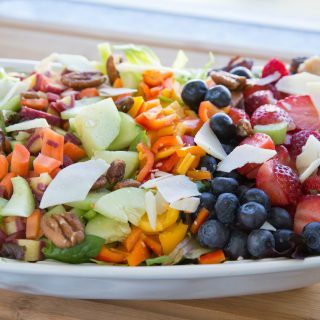 It doesn’t have to be fancy, just plain delicious. 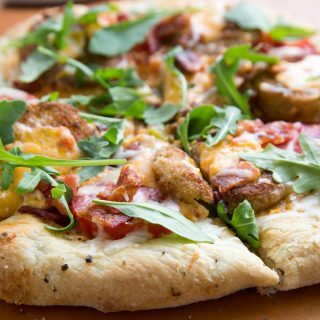 Tried and true recipes redone for the fast-paced lifestyle we live, bring deliciousness to your kitchen. 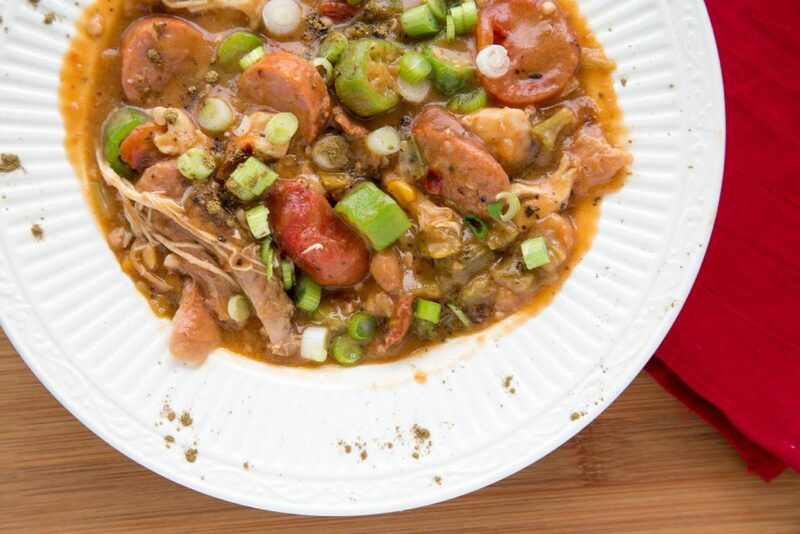 Spend this time with family and friends, enjoying the flavorful as spicy as you like the taste of my skillet Chicken Gumbo. Bring sausage back to the dinner table with this dish. 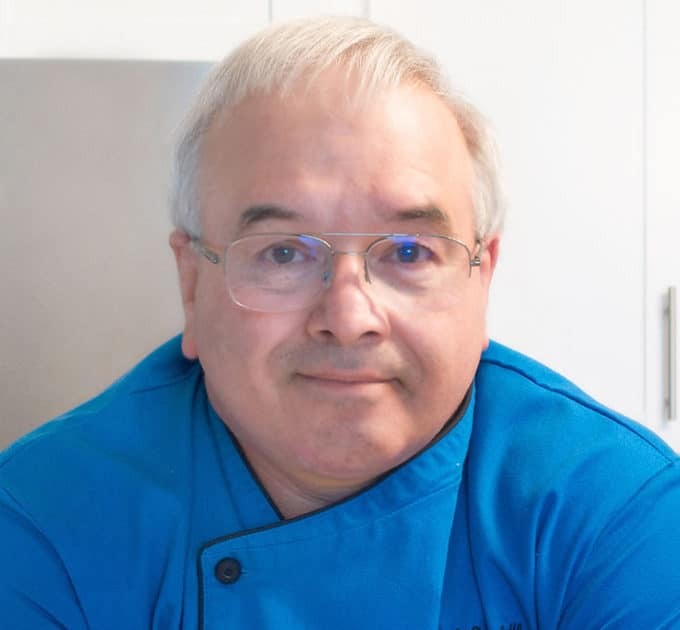 If you’ve tried my Skillet Chicken Gumbo recipe or any other recipe on askchefdennis.com please don’t forget to rate the recipe and let me know where you found it in the comments below, I love hearing from you! Dredge chicken thighs in flour seasoned with sea salt and pepper. place in pan over medium high heat, meat side down and allow to sear for 4-5 minutes until the chicken gets a good color. Turn over and do the same thing to the other side. Remove chicken from pan, and set aside until needed. Add peppers, onion, garlic and celery to oil and saute for 1 minute. Add flour to pan and mix well. If more oil or flour is needed add it in now. Turn heat down to medium and allow roux to cook and brown for 10-12 minutes, stirring constantly. Roux should turn medium brown. Be careful not to burn roux, you just want it to cook and get brown. Add chicken stock and mix well, making sure all the roux gets incorporated into the stock. Add stewed tomatoes, creole seasoning and Worcestershire sauce, mix well. Reduce heat to low, add chicken and simmer, stirring occasionally for 1 hour. Add sausage, okra and chopped parsley to gumbo, allow to simmer for 20-30 minutes. Bone chicken and pull meat apart. Add chicken to gumbo, and simmer 5 minutes. 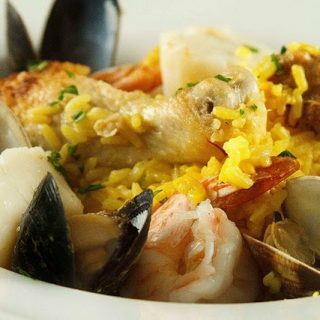 Serve Gumbo over plain white rice. Garnish with chopped green onions and file powder.